Those of us travelling light want three things from a cabin bag; 4 wheels, a size that budget airlines allow, and plenty of pockets for gadgets. This 4-wheeler ticks all of those boxes while remaining affordable and being one of the lightest cabin bags around. 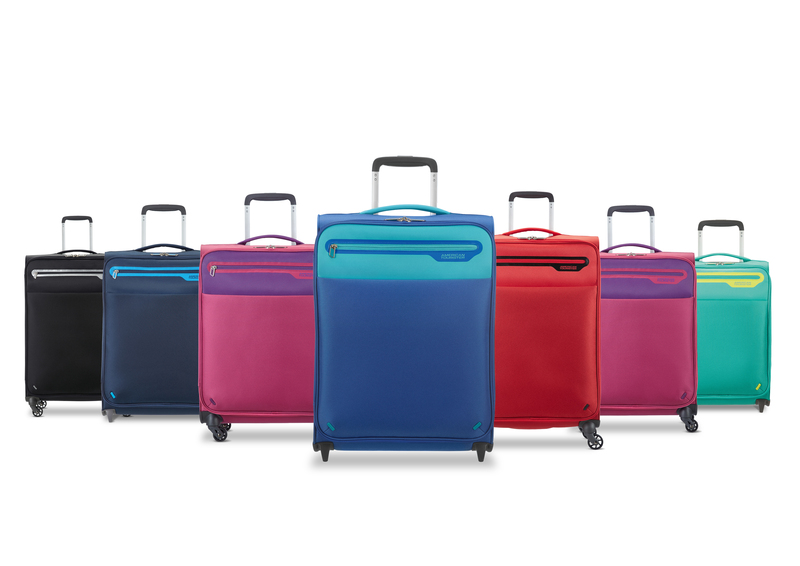 Designed to fit on EasyJet, RyanAir, British Airways and virtually every other budget (and non-budget) airline in Europe and beyond, this 4-wheeler from American Tourister – sister brand of Samsonite – measures 55x40x20cm and, when empty, weighs almost nothing. At a mere 1.57kg, it’s even lighter than the similarly-sized Samsonite Lite-Cube DLX Spinner 55 we reviewed last month. It’s much cheaper, too, though the build quality is drastically different; the Lightway is made from high resistant nylon-polyester material. It has a bit of give in it, and the stitching is excellent. This is tough stuff – and there’s a nice grab handle at the top, with a clever ‘hidden’ emergency grab handle on the side, too. It terms of mobility, the highlight of the Lightway is the four wheels, which glide around even when the case is full. The extendable push-button handle is up to the job, too, though only when the case is packed hard. That’s not going to be a problem for most; the Lightway isn’t exactly Tardis-like on the inside. However, it makes the most of what it’s got, with the belly containing nothing but elastic straps to secure the contents. On the inside of the lid is a neatly constructed mesh pocket (containing a TSA padlock, no less), which extends right across the space. On the outside are two pockets; one short, easily accessible area that’s perfect for storing liquids in a plastic bag for the inevitable security check, and another for an iPad or a small-ish laptop (it took our 11-inch MacBook Air no probs). Best of all? The zips on the good value Lightway are good quality even under duress and the stress of an over-packed bag. That’s a genuine rarity on luggage of this price, and ought to give the smart, functional and not over-engineered Lightway a ticket to ride.